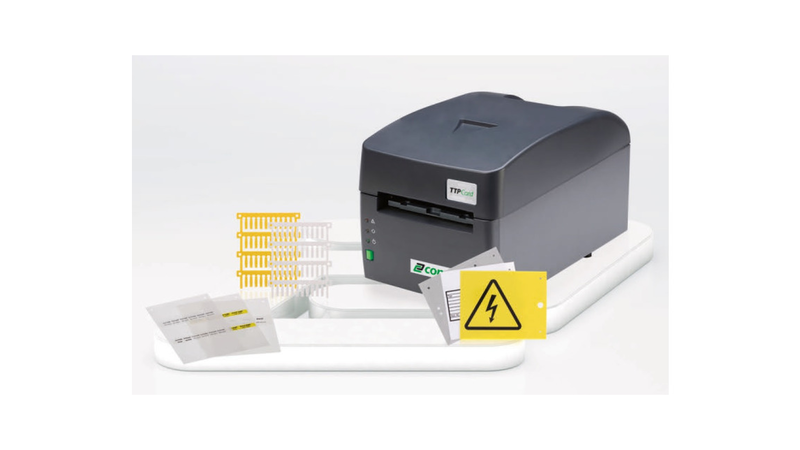 A system that fulfils a wide variety of marking and labelling requirements: The TTPCard thermal-transfer printer features excellent versatility, usability, speed and compact dimensions. The system has been designed for labelling facilities and electrical cabinets. It takes care of all your labelling and marking requirements inside and outside of the electrical cabinet. All markers mentioned in the catalogue can be labelled using the Windows "True Type" fonts. Bar codes and QR codes can also be printed.